Josh Schneider concentrates his practice on the preparation and prosecution of patent applications in various fields, and especially in the computer and electronic device areas. Josh leverages his experience as a former patent examiner to creatively advance applications to grant, and has experience in a wide variety of technical areas, including matters involving computer software, electronic and optoelectronic devices, mixed reality systems, multimedia networks and systems, inkjet and laser printing systems, image processing, Internet and e-commerce applications, cybersecurity, machine learning, business methods, and mechanical devices. Additionally, Josh has been involved in litigation matters, client counseling, and preparing patentability and infringement opinions. Josh regularly works with businesses ranging from small, startup businesses to large, multinational corporations. Josh draws on several years of intellectual property experience. 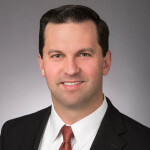 Prior to joining Banner & Witcoff, he practiced at a boutique intellectual property firm, providing his expertise on prosecution and litigation matters for one of the world’s largest electronics manufacturers, as well as assisting start-ups and emerging companies in developing patent portfolios. Prior to becoming an attorney, Josh was a patent examiner at the U.S. Patent and Trademark Office. While at the USPTO, Josh examined patent applications directed to the computer arts, especially in computer IO and networking. Josh also worked in the engineering departments of A.O. Smith and Harley-Davidson, where he designed testing equipment and processes for power system components and software. Josh earned his Bachelor of Science degree in electrical engineering from the University of Wisconsin-Madison in 2002. He was awarded his Juris Doctor degree from Catholic University of America Columbus School of Law in 2009. He practices in the Washington, D.C., office of Banner & Witcoff, Ltd.